The Nicktoons are back for another adventure. This game has several unused .bik files. Most of them are just Windows Movie Maker text over concept art. They're supposed to be "storyboards" for cutscenes that don't exist. One of them is literally a storyboard with voices and everything. There's also Test.bik, which is the old THQ logo, as the game uses a different one. 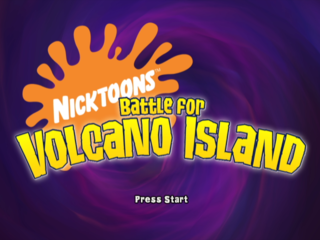 Nicktoons: Battle for Volcano Island • Nickelodeon Party Blast • Nicktoons Unite! This page was last modified on 10 June 2017, at 00:08.